UCAN provides support services for the entire family, with a focus on youth in foster care, teen parents, and low-income families. The High-Risk Infant Program provides preventative and supportive services to families coping with high-risk pregnancies and premature or multiple births. The program creates a support network for at-risk families by providing transportation, in-home support and referrals to other needed services such as counseling, evaluations from birth to age three, and medical specialists. Additionally, the program’s comprehensive services prevent high-risk families from becoming involved with the child welfare system. UCAN’s Teen Parenting Service Network works exclusively with pregnant and parenting youth in DCFS care and their families statewide. Services are available to case management and placement providers as well as to parents and their families. In managing statewide services for pregnant and parenting teens under a single umbrella, UCAN aims to provide seamless service and a full continuum of care. UCAN provides a full scope of clinical services designed to increase our youths’ levels of functioning by assisting them with coping with the effects of trauma. UCAN starts by meeting each youth where she/he is, identifying strengths and building from success. UCAN staff members are trained to identify and treat the serious effects of trauma while enhancing the parenting capacity of youth in their provision of clinical counseling, educational coaching, leadership training, new birth assessments and doula assistance. The Partners in Parenting (PIP) program works with both youth and their children from birth to 21 years of age. The PIP program provides an array of services that support foster care youth in their parenting role, towards reunification and towards the youth’s path to successful independence. 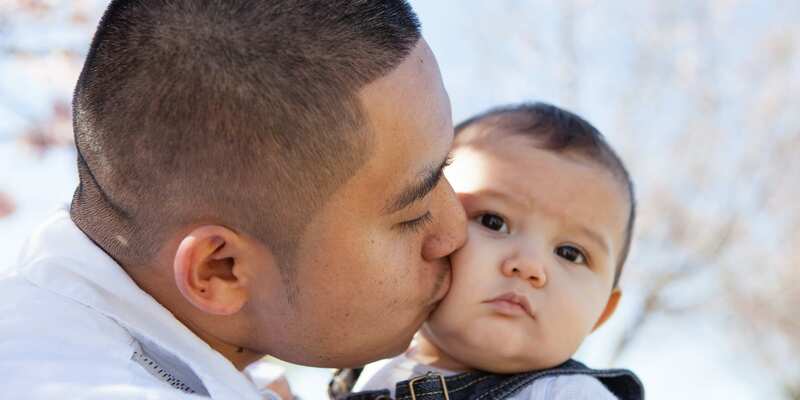 The PIP program builds relationships with teen parents to utilize client strengths, support and community to achieve adequate parenting and successful program discharge. Our staff provides complete care and support to the parents and their children in the form of case management services, connections to resources, and family support, including family planning and parenting and community outreach guidance to promote healthy families and productive adults. The program specializes in helping parenting and/or pregnant teens to develop the skills necessary to break the cycle of abuse and to support independence. The primary goal of foster care is to restore children safely to their families and foster parents play an essential function in helping the child and parents maintain their family bond during the period of separation. If a child cannot return home, foster parents may provide a permanent home. When this happens, the foster parents eventually assume legal responsibility for the child as the guardian or through adoption. For more information about our foster care program or how to become a certified foster parent please contact Michael Ann Wiley at michaelann.wiley@ucanchicago.org. To view UCAN’s Foster Parent Implementation Plan please click here. To view UCAN’s Annual Report for Illinois Licensed Adoption Agencies (2018) please click here. To view the corresponding financial reports please click here. Senior volunteers who work as foster grandparents offer friendship, education, wisdom, assistance and one-on-one mentorship to their young mentees. Our foster grandparents spend 15-40 hours per week helping children on a one-on-one basis, generally in a school setting, providing support to at-risk children who are pre-school or school-aged. As mentors they also assist with homework, listen to the children, provide emotional support and offer feedback and positive reinforcement. Often we see our foster grandparents becoming true role models for the children they assist. For more information on becoming a Foster grandparent in Cook County, please contact Tracee Marion Thomas at (773)429-0300, ext. 69335 or Tracee.MarionThomas@ucanchicago.org. UCAN’s FamilyWorks program focuses on ensuring that families achieve economic and social self-sufficiency. The program serves Chicago Housing Authority residents residing in mixed/scattered Housing Choice Voucher housing on the West and near Northwest sides of Chicago. Program services focus on increasing economic independence, developing academic achievement, increase earning power, stability and quality of life for residents and their families. Outreach and engagement: UCAN case managers and members of their support team build strong relationships through advocacy, including seeking resources to support client needs. Case management: FamilyWorks implements a tiered system of case management to tailor service intensity according to the families’ needs. Career services: Employment & Job Retention specialists work with UCAN’s case managers to assist residents with job preparation, training, securing and retaining employment. Clinical services: UCAN’s teams of licensed therapists are experienced in addressing a wide range of problems residents face, including substance abuse, trauma, domestic violence and mental health issues. Supportive services: UCAN recognizes the need for additional services to its CHA residents, including financial literacy, professional homemaker services, parenting support, and on-site GED classes. For more information, please call 773-309-6040. This innovative new program combines necessary supportive services with housing to enable youth that are either homeless or in danger of becoming homeless to obtain or maintain community-based housing. The program is designed to prevent our clients from returning to or falling into homelessness. Serving Chicago’s youth ages 18 – 24 by providing quality housing in Chicago Housing Authority (CHA) approved Opportunity Areas, UCAN works towards allowing every participant to take control and be the “expert” in their own life. UCAN staff members provide a sounding board and structured services while linking youth to local resources within their communities that will increase self-sufficiency and maximize their potential for success. For more information, please contact Alisa Jackson at (773) 429-0300 or Alisa.Jackson@ucanchicago.org or Renita White at (773) 429-9358 or Renita.White@Ucanchicago.org.